CHICAGO – Season Six of Chicago’s Asian Pop-Up Cinema has been superior, and definitely ranks as one of their best. After showing the finest contemporary films of Japan, South Korea, Taiwan, China and India, Hong Kong is saved for the Closing Night Film on May 16th, 2018. “Tomorrow is Another Day” is the English title, and it was directed by Chan Tai-Lee and features Ling Man-Lung. Chan and Ling will appear on behalf of the film at the AMC River East 21 Theatre in downtown Chicago. For more information and tickets, click here. The Asian Pop-Up Cinema (APUC) offers Chicago a diverse line-up of films, with Japan, South Korea, Taiwan, China, India and Hong Kong all represented in the Spring Season Six of 2018, and all with English subtitles. Screenings occur at the AMC River East 21 in downtown Chicago, with other various locations for special events, in addition to a number of free screenings. APUC will return for Season Seven in the Fall. APUC is curated by veteran film programmer Sophia Wong Boccio. 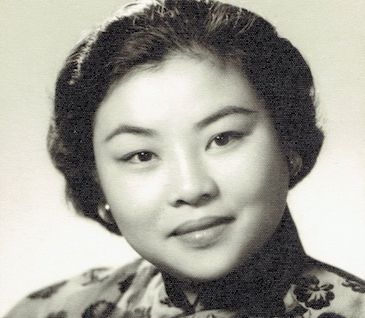 For Closing Night, before the main feature, there will be a tribute to Wong Boccio’s mother Yu Wan-fei, who was was an actress in the Hong Kong film industry in the 1950s and ‘60s, and who passed away in February of this year. HollywoodChicago.com: Chan, finding that ‘look of being tired’ for the parents was particularly artistic, in collaboration with actors Teresa Mo and Ray Lui. How did they come to that emotion, and how did you make that ‘look’ part of the feeling of the film? Chan Tai-Lee: What you describe is what I used for the topic of the film. In researching the film, both Ling and I encountered two families who had an autistic child, and spent time with them. When they told their stories, I could feel their exhaustion, and having a special needs kid in the family takes up a lot of energy. My script, and the slower pacing of the film, reflected this tiredness, and the actors picked it up. HollywoodChicago.com: Ling, did you find that freeing the part of yourself that was necessary to perform the character of Kwong sometimes made it difficult to come back to yourself after a day of portraying him? Ling Man-Lung: I have spent the last ten years of my career on the stage, and often I had to stop portraying one character that I had been doing for months and start right in on another. This is part of being a professional actor, so I can separate the role from myself with no problem. HollywoodChicago.com: Chan, when you were writing the script and doing research, what did you notice about the relationship between autistic children and their parents that you knew you wanted to have in the film? Chan: I realized that when I was writing about the relationship that the Mother and Kwong have in the story, that is was similar to the relationship of lovers. I noticed that the families I researched had a much more intimate relationship with their autistic children, both in touch and interdependence… they rely on each other like lovers. Often when an autistic kid is happy, they will kiss the parent more intimately than a normal kiss in that kind of relationship. I used that in the film as a form of expression, a pure and clear definition of joy. HollywoodChicago.com: Ling, what was the hardest scene in the film for you, as far as communicating what you wanted Kwong to do? How did you get over that difficulty and find what to do? Ling: All of it was fairly difficult, but the key to it was finding the cause of the behavior and reacting accordingly. I talked to the parents of autistic children and the experts, and even they don’t know what triggers a behavior at a certain moment. Their interpretations come through experience, and spending a lifetime with the child. So my interpretations became a creative space for me, and I could make my behaviors react based on the character’s reaction to what was happening in the story. HollywoodChicago.com: Chan, which character did you find the hardest to put down on paper? Was it Kwong, one of the parents or Daisy [the other woman], and why? Chan: It was the Mother. In all the research, the role of Mother in those families had the least amount of inner character to grab onto. I wrote her with more complexity than what I observed, because she was at the center of the drama. The emotions she carried were very heavy, and were tied to the story. I used her for the high and low points, and she had to have distinct relationships with her son, the husband and her circle of friends. It was a delicate dance. HollywoodChicago.com: This is for both of you… understanding the autism in Kwong must have been a challenge, both in writing the character and performing it. Chan, what specific character trait did you always want Kwong to have? And Ling, what was the key to finding that trait as a performer? Chan: When I began researching the idea for the film, I had little knowledge of what behaviors autism had in someone, I assumed it was quiet and subdued. The autistic kid actually has different behaviors that are often unpredictable, as we talked about. This includes screaming, hurting themselves and acting out in public. This was the side I wanted to communicate, for the story and the awareness for the audience. Ling: It was a collaboration between Chan and I, we were on the same page. We also had a special consultant, one of the fathers of the autistic families we observed. 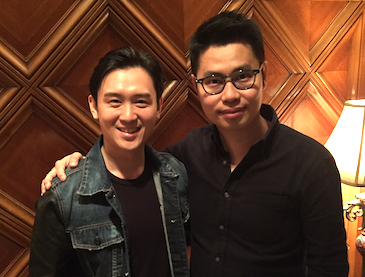 And also thanks to Chan, he trusted me with the material, to create Kwong in the direction he wanted to go. HollywoodChicago.com: What changed in both your lives in the pursuit of creating this film and creating Kwong, as far as your attitude toward autism and the people who care for a person with autism? Chan: In making this film, I wanted to give positive energy and blessings to these families. The Chinese title of the film translates to ‘Golden Flower,’ and what I was saying is that these families are raising golden flowers, despite the challenges. The English title, ‘Tomorrow is Another Day,’ is that the next day may be good or bad, but it always contains hope. For me personally, it’s all about being positive and having positive energy, because I feel like the autistic community – the people with the condition and the people who care for them – are supporting me. Ling: In the Hong Kong society, people have a hard time understanding the autistic condition… the autistic person can suffer discrimination and misunderstanding because of their behaviors. But the person doesn’t even know what they are doing. As an actor portraying this condition, I wanted to reflect those people who live with it, and I wanted to reflect the society that judges it, to raise awareness. As an performer, I think I’ve achieved that goal. For a complete overview Chicago’s Asian Pop-Up Cinema, click here.